Everything you need to know about your baby and your body in the first trimester of pregnancy. 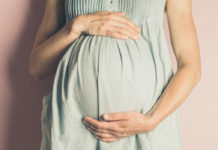 Although the signs and symptoms of pregnancy may not be so apparent in the first trimester of pregnancy, it’s in these first few months when most of your baby’s crucial development takes place. This also means big changes for your body. Here’s everything you need to know about your baby and your body in the first trimester of pregnancy. It is around the 4-week that most women will start to produce a positive pregnancy test, after missing a period. If fertilisation has been successful, the tadpole-like embryo has now implanted in the lining of your womb – it’s home for the next 8 months – and the crucial development processes begin. By eight weeks, your baby is now known as a foetus and it’s about the size of a raspberry. The limbs buds have formed and are growing longer, and your baby’s head is starting to take shape. At this stage, your baby’s heart is beginning to pump blood around the body and some facial features are developing. The placenta is still forming and developing at this point, so the foetus in the amniotic sac relies on the yolk sac for nutrients. At around 12 weeks it’s time for your first scan. This is known as the dating scan and can determine your baby’s due date. You’ll also be offered a number of screening tests to rule out any infections or genetic disorders. At the ultrasound, you’ll hear your baby’s heartbeat. While your baby is rapidly developing and growing, your body is also undergoing some major changes in the early stages of pregnancy. Here are some of the common pregnancy symptoms you might expect to see and feel. On top of all these changes going on in your body and your baby rapidly growing, you’re also working overtime to provide nutrients for the foetus while the placenta fully develops. It’s no wonder you’ll be feeling tired and exhausted during the first trimester. The higher levels of progesterone can also make you feel sleepy. The changes in your hormone levels and an increase of pregnancy hormones might mean your breasts are increasingly sensitive or sore. Thanks again to the increased pregnancy hormones and fluctuating hCG levels, you may experience heightened emotions and rapid changes in your mood throughout the day. Unfortunately, morning sickness can really plague you in the first trimester. It’s one of the most common pregnancy symptoms and, sadly, not much can be done about it. To ease the feeling of nausea and make sure you’re still getting food down if you’ve been vomiting, snack on plain, dry foods. Easting little and often is the key. Spotting can be quite common in the early stages of your pregnancy. Light bleeding at around 6 to 8 weeks – when your period would normally occur – could also be due to the fact your body is so used to bleeding each month. However, if you experience heavy bleeding and severe cramping at this stage, you could be suffering a miscarriage and should contact your doctor or local hospital. You might notice a more milky consistency to your discharge during your first trimester. Some women start to experience pregnancy cravings at around 5 – 6 weeks. You’re odd cravings for pickled onions, or ginger and whatever else your body is demanding are usually to do with your changing hormones. 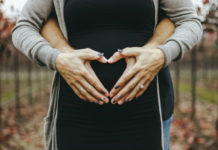 For the most part, you can indulge in these cravings, but at this early stage of the pregnancy, it’s also important to make sure you and your baby are getting the right nutrients. Surprisingly, you only need to consume around 100 extra calories a day during the first three months of pregnancy. The increased blood flow to your kidneys means you’ll produce more urine. Additionally, as your uterus expands there’s more pressure on your bladder. This can make you feel as though you need to go to the loo more often. 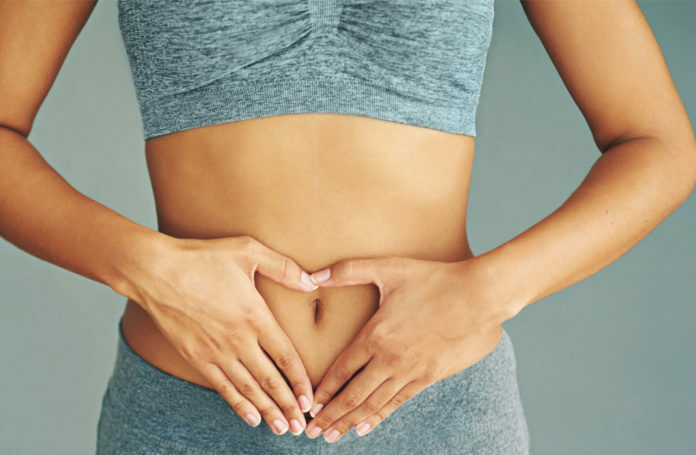 Although having a proper bump is still a way off (most women start to show after the first few weeks of their second trimester, but everyone is different), your stomach muscles have already begun to relax. Your uterus will also start to expand at around 6 weeks in order to make room for your growing baby. You might notice your waist starting to thicken and there might well be some clothes that no longer feel comfortable! First Trimester Screening: When Should You Have an Ultrasound? You’ll have your first ultrasound at around 12 weeks. You may need an earlier scan if your doctor advises or you’ve had IVF. It’s often called the 12-week scan but can take place at any time between 10 to 14 weeks. Also known as the dating scan, you will find out an initial idea of your baby’s due date. At this ultrasound, you’ll likely hear your baby’s heartbeat for the first time. Want a more detailed breakdown of each stage of your pregnancy? Check out our pregnancy week by week page for everything you need to know about each week in your pregnancy journey.